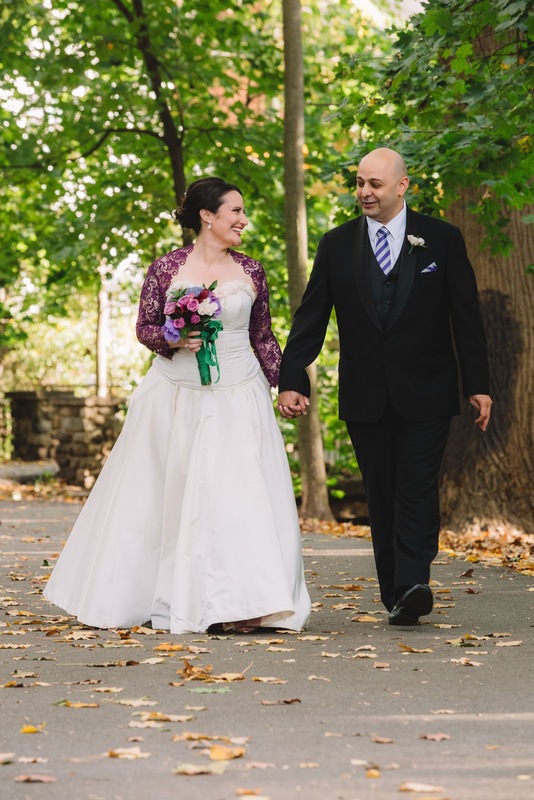 male pattern boldness: Wedding Photos From All Three Weddings! I have some lovely wedding pics to share with you today, readers! Next up, some shots from Val's wedding to Walt. I made Val's lace gown, which was based on Vogue 1032. 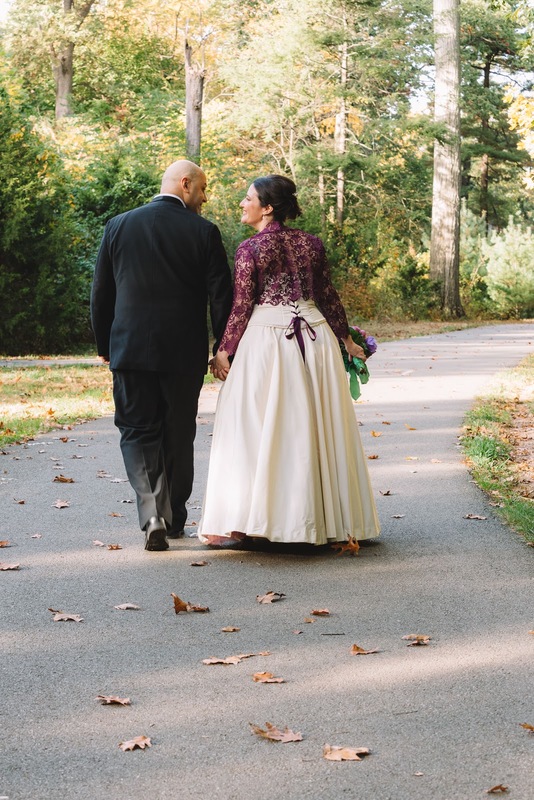 And finally, some shots from MY wedding! 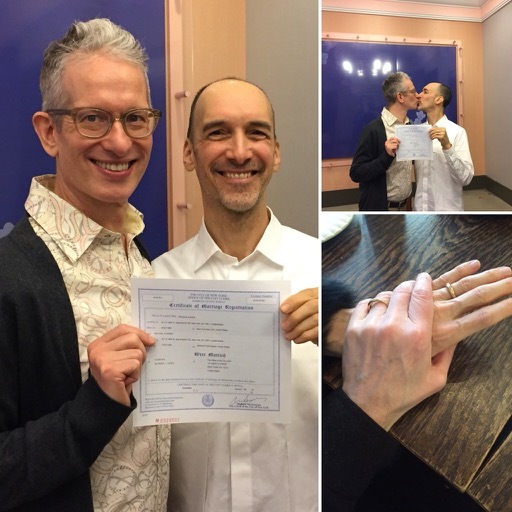 After fifteen years, Michael and I decided to officially tie the knot. Our wedding was performed in the County Clerk's office nearly City Hall early last week. While very informal, it was a lot of fun -- and we're both wearing me-made shirts! Sometime this Spring will have a larger celebration. And that's it! I'll be taking a blogging hiatus for the rest of January, but I'll be back early February. Have a great day, and next couple of weeks, everybody! 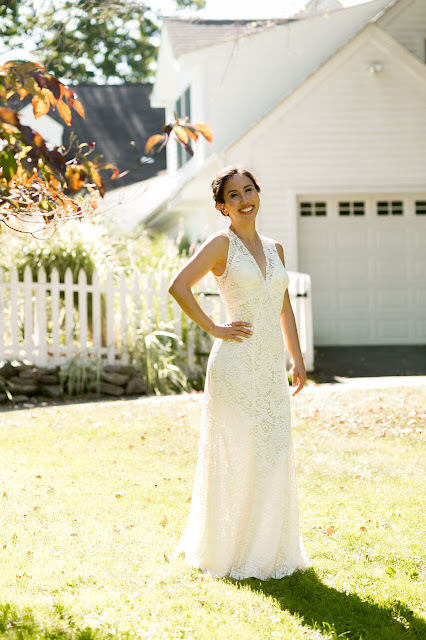 Beautiful dresses, and - congratulations on your own nuptials! Congratulations to you and Michael on your wedding. The brides' dresses are superb. Congratulations to you and Michael!! I agree that the wedding dresses are beautiful. Congratulations! So very happy for you both! Have to say I love the ball gown dress with the lace tie up in the back. That is stunning! The lace one is so delicate! You are so talented! Enjoy your honeymoon! Congratulations to both of you! I hope you have many happy years together. I look forward to pictures from your larger celebration. Beautiful gowns, both of them. Best wishes and congratulations to you and Michael! The best is yet to be! OMG! I’m so happy for you. Congratulations! God bless and keep you both! I wish you 50 years as happy as I’ve had! I think that's called burying the lead ... Congratulations Peter and Michael!!!! Congratulations! Oh and those dresses are gorgeous. What a wonderful surprise. Congratulations!! The dresses are beautiful. Fantasticnews! Congratulations to you and Michael. And the dresses are truly lovely. HONEYMOONERS! Hooray for the handsome couple(s)! All the blessings and all the good things to you, and you and you and you. Love you. Congratulations I am so happy for you both. The dresses you made really were the perfect ones for each woman. Warmest congratulations, Peter and Michael. Wishing you many years of wedded bliss. You made gorgeous dresses of course! I am particularly smitten with the lace one. Congratulations to you and Michael! I wish you many many more happy years together! Congratulations to you and Michael. What a milestone! History in the making. Congratulations to you and Michael! Very happy for both of you. The wedding gowns are both beautiful! So happy for you and Michael! Thanks for sharing the news and the pictures too. Warmest wishes for a happy life together! Your dresses turned out beautifully and the brides looked wonderful in them. Huge congratulations to you and Michael :)!!! January just got much warmer. Congratulations!I don't recall a HINT of your nuptials on instagram,so its a sweet surprise at the end of this wedding day post. The very best wishes for you both. 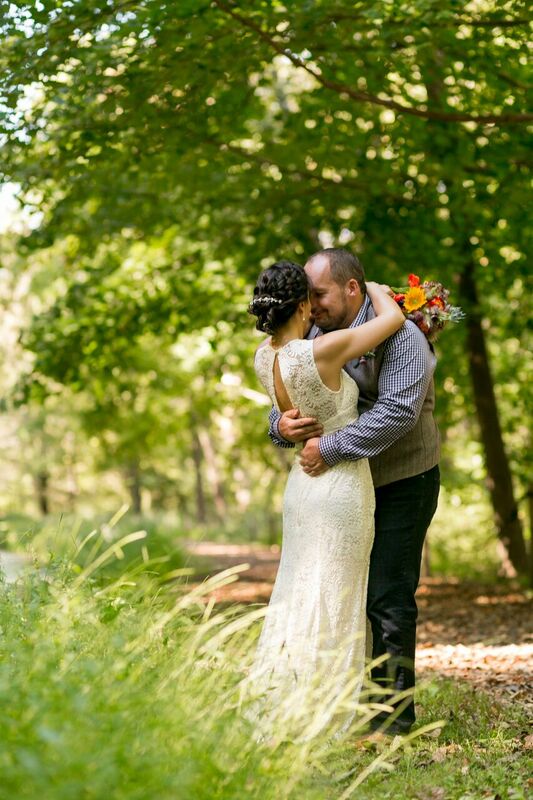 Thank you for sharing all of the wedding photos, including your own! Congratulations and best wishes for a happy, loving and respectful marriage. Peter, I wish you and Michael many more years of happiness! Congratulations on your marriage. Congratulations on your wedding to Michael! So happy for you both. And such gorgeous bridal dresses! They suit the brides so well. Great job! Congratulations Peter and Michael on your marriage. Congratulations, too, Peter for making such lovely wedding dresses. What a wonderful surprise, congratulations!!! Congratulations! Wonderful news! Enjoy your blog break, hope it's a honeymoon! Congratulations to you and Michael, I hope that you have many more years of happiness together. The wedding gowns are beautiful! And Congratulations to you and Michael! Congratulations to you and Michael!!!! Yay!!!! Both of the wedding dresses are lovely. And many congratulations to you and Michael on your wedding. You both look so happy! Such beautiful wedding dresses and CONGRATS to both of you, wishing you a very happy life together! Congratulations to you and Michael!! That's lovely news! Congratulations! Wishing you many more years of happiness together! Congratulations!!!! Many more years of happiness. Congratulations! May the years ahead be filled with lasting joy. How absolutely lovely many congratulations to you and Michael. Congratulations and many happy years together! OMG! Couture at its finest! and the very best news of you two making honest men of each other! very best wishes and happiest of time(s) to you. AND, the photos of the brides are incredibly beautiful. the dresses looked great 'in progress' but nothing prepared me for the elegance and perfection of pattern/fabric choice and CONSTRUCTION. those women made a great choice in designer/sewist, hope their partner choice is equally as magnificent. Mazel Tov! The upcoming warm weather vacation is your honeymoon, yes? The gowns are superb (really superb! ), but the apparent happiness in all three weddings is lovely beyond words. Warmest congratulations to all three couples! Congratulations to you and Michael. May you have many happy years together. Love all the dresses and the wedding shirts. Thank you for sharing. Congratulations to both of you! How wonderful! The wedding dresses you made are exquisite! 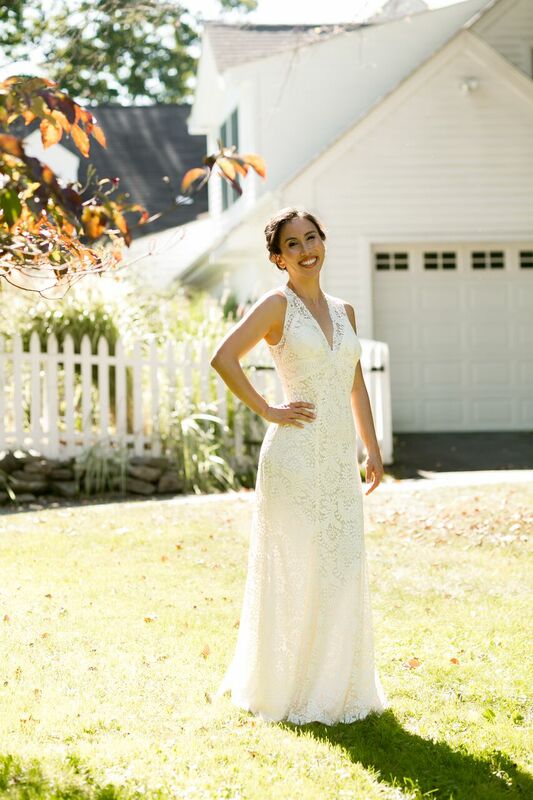 Lucky brides to have such beautiful dresses made exactly how they wanted them! Congratulations to you and Michael! The dresses and shirts look wonderful! Lovely dresses you made for the brides. To you and Michael, may you live long and prosper! Many congratulations! So happy for you and Michael! Congratulations to you and Michael! I hope you have a lifetime of happiness together. The dresses are beautiful! Quelle surprise! Congratulations to all 3 couples! Congratulations Peter!!! Wishing all the best to you and Michael. Congratulations! Such happy news. Beautiful dresses. Congratulations & Best Wishes Peter & Michael!!! YAY!!!! Congratulations Peter and Michael, best wishes for many, many more happy years together. And Peter the two wedding gowns you made are gorgeous and the brides were lovely in them. I expect you will be getting more commissions in that line. Mazel Tov! Wishing you a long and happy marriage. The gowns are perfection too. Two beautiful dresses and three cute couples. Congratulations to you and Michael. OMG..congratulations!! The best of all possible luck, and much, much love. Seems as if you already have both! The best is yet to be . . . congratulations! Beautiful! Congratulations Peter and Michael! Congratulations! Wishing you all the very best. Congratulations to you and Michael. Such happy news! Best wishes for a long and happy life together. The gowns looked lovely on both of the beautiful brides. You are such a talented sewist and designer. I love love love love love Val's gown. Have you shown pix of it to Kashi? The two wedding dresses look phenomenal but more importantly super duper congratulations to you and. Michael!!!! Hooray for you guys!!!!! Have a great break! Long time reader but a rare commenter - Congrats to you both on your marriage!! The dresses are also beautiful and suit the brides perfectly. Best wishes to everyone and may they be as happy as in these photos! I was in awe of the two bridal gowns, and wondering about the 3rd wedding and there it was - you and Michael, at last. Congratulations and enjoy many, many wonderful years together. The wedding dresses are stunning. OMG!! What wonderful news! Congratulations and of course, wishing you both a zillion happy years together! And your bridal sewing was just lovely!! I'm so happy for you! Congratulations!!!! Congratulations. Health, wealth and happiness. What lovely brides and grooms! Congratulations to you and Michael! I am sure your mom is thrilled to have Michael as an official son! Warmest wishes for the wonderful years ahead! From a long time blog reader who has never commented - CONGRATULATIONS! So nice to read about your happy news! Yay!!!!!!! So happy for you both! Congratulations! Wishing you every happiness and a long future together. Congratulations, you two! I am so happy for you both. The gowns are absolutely stunning! As the Mother of a transgender son, and an LGBTQ activist, I cried when I read the news about your marriage to Michael. My very best wishes for many, many years of happiness! Congratulations, Peter! 15 years is incredible. Here's to 15+ more. CONGRATULATIONS!!! You've already been together with your husband longer than I have with mine (a mere 12 years here). I know you will continue to be very happy together! Congratulations!!! Wishing you two a very happy life. Beautiful dresses. Congratulations Peter and Michael! Lovely dresses. Congratulations on the stupendous wedding gowns as well as your own nuptials, and may all have many anniversaries to come! Congratulations! I'm very happy for all the couples! Congratulations! What a joyful day! Congratulations! How lovely. Susan from Dorset. Congratulations! I wish you two many, many happy years. After 15 years???? That's a lotta free milk! Congrats to both of you! And it's about time! Congratulations, and I wish you many more years of happiness together. And you done did good on the gowns. Oh my goodness! Many, many, MANY happy wishes for the two of you! CONGRATULATIONS and best wishes for a long, happy life together!!! Congratulations to you both - all the best of life's good things to you both. Contratulations! Fabulous news... a toast to a long and happy life together. All my best! Congratulations! Beautiful sewing work, and wishing you many years of wedded bliss! Congratulations Peter! and fabulous gowns by the way,good job. Congratulations to you and Michael! The wedding dresses are gorgeous. OOOH, So very happy for you both. The wedding gowns are so very beautiful and unique. Where were you 50 years ago? I could have uesd your talents to help me with mine. Mazeltov to you both and more mazeltovs for years to come! Many blessings on your head, and your life. Two beautiful brides you've made happy for their special day, and for yourself for publicly and officially committing to make someone else happy. Well done! 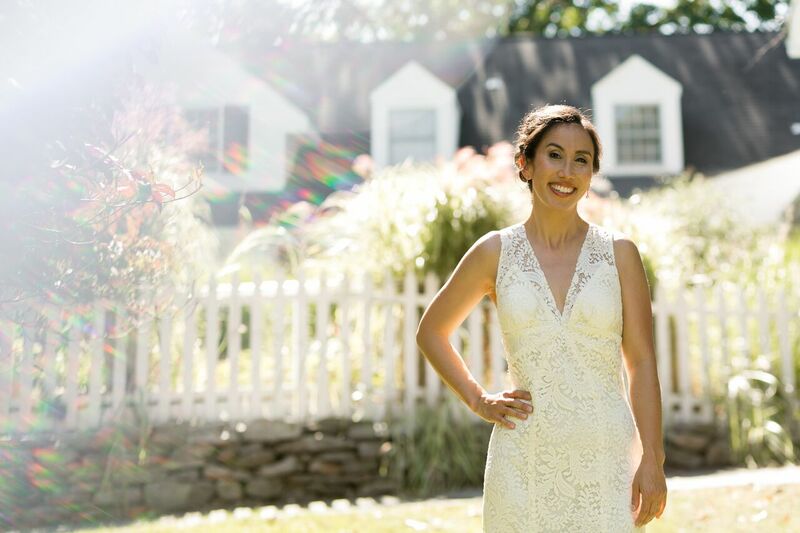 The dresses you made for these two brides are simply beautiful. I love both styles and So nicely detailed.